This is the fourth year in a row that a single film has taken the top two prizes in the US dramatic competition, following “Fruitvale Station” (2013), “Whiplash” (2014) and “Me and Earl and the Dying Girl” (2015). 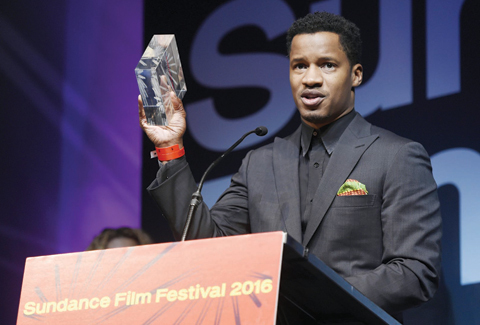 That general trend aside, many had anticipated precisely this outcome for “The Birth of a Nation,” whose rapturous reception on Monday seemed to chime with a number of issues affecting the culture in general and the film industry in particular. A seven-year labor of love for “Birth” will enter the marketplace with high hopes and expectations as an acclaimed work by a black filmmaker in an industry under fire for its lack of diversity in the wake of the #OscarsSoWhite controversy. Just as diversity took the stage at the Screen Actors Guild that same night (with wins for Idris Elba, Viola Davis and Queen Latifah), so this year’s Sundance-and its slate of dramatic competition winners-seemed to stand in especially pointed contrast to the Academy’s recent woes. Acting awards were given to Joe Seo and Markees Christmas for their performances in “Spa Night” and “Morris From America,” respectively, while Daniel Kwan shared the directing award with his co-helmer Daniel Scheinart for “Swiss Army Man,” their divisive lost-in-the-wilderness comedy starring Daniel Radcliffe and Paul Dano. “Yes, we are the movie with a farting dead corpse, and somehow we still won this award,” Kwan said of “Swiss Army Man,” which premiered early in the festival and quickly became one of its most divisive and attention-grabbing entries before getting snapped up for distribution by A24. Elsewhere in the US dramatic competition, the Waldo Salt Screenwriting Award went to writer-director Chad Hartigan for “Morris From America,” his dramedy about an African-American teenager who has relocated with his father to Heidelberg, Germany; the film also drew an acting award for Markees Christmas. Other thesping prizes were granted to Joe Seo for his role as an Asian-American teenager coming out against the backdrop of LA’s Korea town in “Spa Night,” and to Melanie Lynskey for her performance as a woman orchestrating a couples’ get-together in “The Intervention.” A special jury award was presented to director Miles Joris-Peyrafitte for “As You Are,” his well-observed ’90s-set drama of adolescent angst. The US documentary grand jury prize was awarded to “Weiner,” Josh Kriegman and Elyse Steinberg’s juicy portrait behind the scenes of disgrace politician Anthony Weiner’s mayoral campaign. The audience award went to “Jim: The James Foley Story,” Brian Oakes’ portrait of the photojournalist murdered by ISIS in 2014. The directing prize went to Williams for “Life, Animated,” his portrait of a young autistic man and his transformative relationship with Disney animated films. Elsewhere in that category, Robert Greene received a special jury award for writing “Kate Plays Christine,” his layered look at actress Kate Lyn Sheil’s preparations for the role of the late TV journalist Christine Chubbuck, while director Penny Lane and Thom Stylinski for their editing on “NUTS!,” a portrait of a small-town Kansas doctor who discovered an unusual cure for impotence using goat testicles. Other special prizes were given for social impact to “Trapped,” Dawn Porter’s documentary following two Southern abortion clinics, and for verite filmmaking to “The Bad Kids,” Keith Fulton and Lou Pepe’s portrait of several troubled adolescents at California’s Black Rock High School. In the World Cinema dramatic competition, the grand jury prize went to “Sand Storm,” Israeli helmer Elite Ziker’s debut feature about women caught between the forces of modernity and patriarchy in a Bedouin desert village. “Between Sea and Land,” Manolo Cruz and Carlos del Castillo’s drama about a mother and her muscular dystrophy-afflicted son living near the Colombian coast, drew both the audience award and a special jury prize for actors Cruz and Vicky Hernandez. In the same category, the directing laurels went to Belgian helmer Felix van Groeningen (“The Broken Circle Breakdown”) for “Belgica,” a tale of two brothers trying to launch a nightclub in Ghent. Another special jury award, for unique vision and design, was bestowed on Polish director Agnieszka Smoczynska for her 1980s-set mermaid musical-horror film, “The Lure.” In the World Cinema documentary competition, both the grand jury prize and the audience award went to “Sonita,” director Rokhsareh Ghaem Maghami’s portrait of the eponymous Iranian rapper. Michael Marczak drew the directing prize for “All These Sleepless Nights,” a year-in-the-life portrait of Warsaw youth. Three special jury awards were presented for best editing to Mako Kamitsuna and John Maringouin for “We Are X”; best cinematography to Pieter-Jan De Pue for “The Land of the Enlightened”; and Heidi Brandenburg and Mathew Orzel for “When Two Worlds Collide.” The audience award for the Next section was given to Kerem Sanga for “First Girl I Loved,” a lesbian romance between two Southern California high schoolers. Earlier in the week, Ciro Guerra’s “Embrace of the Serpent” received the $20,000 Alfred P Sloan Feature Film Prize, presented annually to a film that focuses on science or technology as a theme. The Colombian film, which is nominated for the foreign-language film Oscar, bowed in the festival’s Spotlight sidebar. Also previously announced, the Sundance Institute NHK Award for a visionary emerging filmmaker was presented to Japanese writer-director Atsuko Hirayanagi for “Oh Lucy!,” which screened in competition at the festival.